Severe winter weather that left grain farmers complaining about poor rail service is being blamed for disappointing first-quarter earnings at Canadian Pacific Railway Ltd. as it deals with the potential for further disruption amid a potential strike this weekend. The company, which was handed 72-hour strike notices Wednesday by about 3,400 workers in two of its unions, reported after markets closed that it earned $348 million in the first three months of the year, down from $431 million a year ago, despite a four per cent increase in revenue to $1.66 billion. Reported diluted earnings per share were $2.41, an 18 per cent decrease from $2.93 a year earlier, and short of analyst expectations of $2.64 according to Thomson Reuters. "This was a challenging quarter, as we battled extreme weather and unprecedented demand, specifically in the northern reaches of our network," CEO Keith Creel said in a news release. CP Rail said its operating ratio, a standard measure of efficiency in the railroad industry, worsened to 67.5 per cent compared with 62.4 per cent a year earlier. Commodity shippers fear further disruptions in getting their products to market if the strikes go ahead. "A strike would just be another nail in the coffin of another really bad year for shipping," said Ron Bonnett, president of the Canadian Federation of Agriculture. "All winter, the railways were only delivering about 40 per cent of the cars that were requested for shipping grain so there's a tremendous backlog of grain in the system right now." He said some farmers are running short of cash because their crops aren't being sold, adding the glut from a near-record crop last summer could last until next fall and cause problems with this year's crop sales. Rail shipping of grain has been better recently, but still not satisfactory, with shippers reporting Canadian National Railway supplied cars for 83 per cent of demand while CP Rail rated 53 per cent in the week of April 2-8, said Greg Northey, director of industry relations with Pulse Canada, a member of the Ag Transport Coalition. 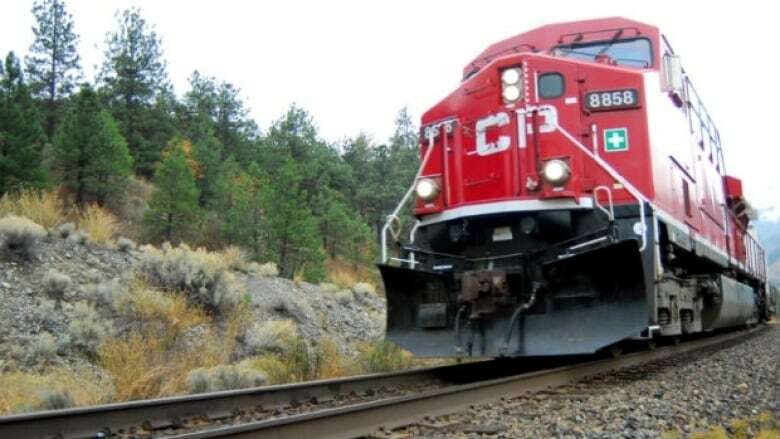 A CP Rail work stoppage would also be "extremely detrimental" to the member companies of the Chemistry Industry Association of Canada who rely on rail to ship about 80 per cent of their products, CEO Bob Masterson said in an open letter to federal Labour Minister Patty Hajdu. Federal Transport Minister Marc Garneau said earlier this week the government is watching the situation because of its implications for grain and other commodity movements, but remains hopeful the bargaining process will result in a solution. Both the Teamsters Canada Rail Conference, representing about 3,000 CP Rail engineers and conductors, and the International Brotherhood of Electrical Workers, with about 365 signal and communications workers, cite a lack of progress at the bargaining table in issuing the strike notices. Absent a negotiated settlement, the unions say their workers will walk out at 12:01 a.m. on Saturday. "Serving a strike notice is part of the bargaining process that unions must follow if they want to be able to strike," said Creel in a statement. "We remain committed to achieving a win-win solution and urge the two unions to work closely with us and the federal mediators to achieve a positive outcome as soon as possible in the hours leading up to the deadline." CP Rail said it presented the Teamsters with new three- and five-year agreement options on Monday and planned to present the IBEW with three- and five-year options on Wednesday. The two unions reached a tentative deal with Canadian National Railway Co. last month for new contracts for about 1,700 CN Teamsters workers and over 700 IBEW members.